The city of Bombay originally consisted of seven islands, namely Colaba, Mazagaon, Old Woman’s Island, Wadala, Mahim, Parel, and Matunga-Sion. This group of islands, which have since been joined together by a series ofMumbai reclamations, formed part of the kingdom of Ashoka, the famous Emperor of India. After his death, these islands passed into the hands of various Hindu rulers until 1343. 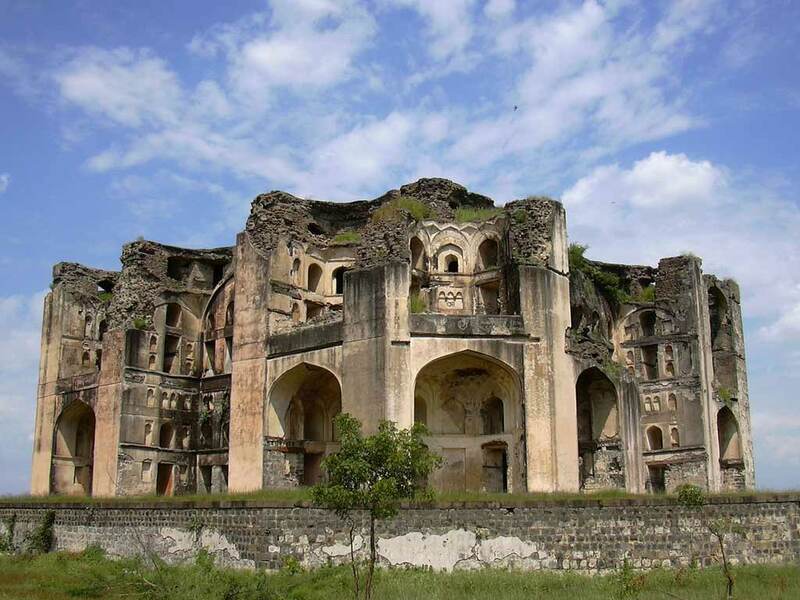 In that year, the Mohammedans of Gujerat took possession and the Kings of that province of India ruled for the next two centuries. The only vestige (mark) of their dominion over these islands that remains today is the mosque at Mahim. In 1534 the Portuguese, who already possessed many important trading centers on the western coast, such as Panjim, Daman, and Diu, took Bombay by force of arms from the Mohammedans. This led to the establishment of numerous churches which were constructed in areas where the majority of people were Roman Catholics. There used to be two areas in Bombay called “Portuguese Church”. However, only one church with Portuguese-style facade still remains; it is the St. Andrew’s church at Bandra. The Portuguese also fortified their possession by building forts at Sion, Mahim, Bandra, and Bassien which, although in disrepair, can still be seen. They named their new possession as “Bom Baia” which in Portuguese means “Good Bay”. A hundred and twenty-eight years later the islands were given to the English King Charles II in dowry on his marriage to Portuguese Princess Catherine of Braganza in 1662. In the year 1668 the islands were acquired by the English East India Company on lease from the crown for an annual sum of 10 pounds in gold; so little did the British value these islands at that time. The Company, which was operating from Surat, was in search for another deeper water port so that larger vessels could dock, and found the islands of Bombay suitable for development. The shifting of the East MumbaiIndia Company’s headquarters to Bombay in 1687 led to the eclipse of Surat as a principal trading center. The British corrupted the Portuguese name “Bom Baia” to “Bombay”. The Kolis used to call the islands “Mumba” after Mumbadevi, the Hindu deity to whom a temple is dedicated at Babulnath near Chowpatty’s sandy beaches. The first Parsi to arrive in Bombay was Dorabji Nanabhoy Patel in 1640. The Parsis, originally from Iran, migrated to India about 900 years ago. This they did to save their religion, Zoroastrianism, from invading Arabs who proselytized Islam. However, in 1689-90, when a severe plague had struck down most of the Europeans, the Siddi Chief of Janjira made several attempts to re-possess the islands by force, but the son of the former, a trader named Rustomji Dorabji Patel (1667-1763), successfully warded off the attacks on behalf of the British with the help of the ‘Kolis’, the original fisher-folk inhabitants of these islands. 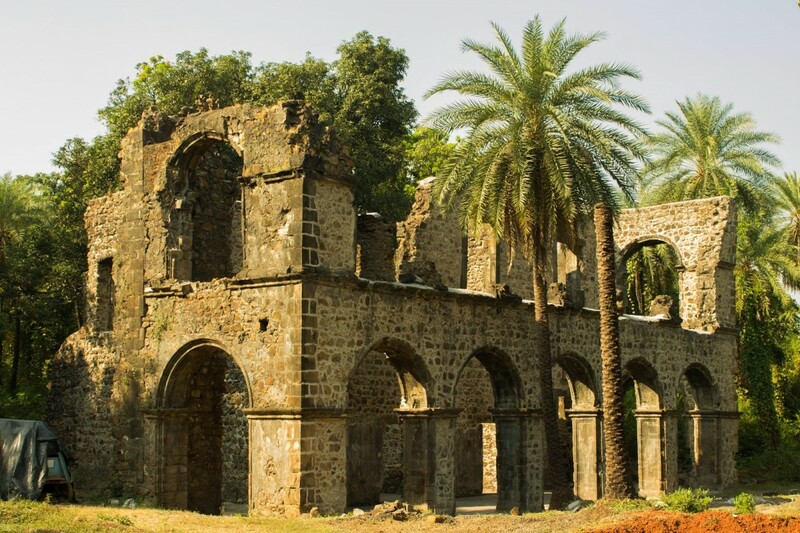 The remnants of the Koli settlements can still be seen at Backbay reclamation, Mahim, Bandra, Khar, Bassien and Madh island. Sir George Oxenden became the first British Governor of the islands, and was succeeded later by Mr. Gerald Aungier who made Bombay more populous by attracting Gujerati traders, Parsi ship-builders, and Muslim and Hindu manufacturers from the mainland. He fortified defenses by constructing the Bombay Castle (the Fort, since then vanished except for a small portion of the wall) and provided stability by constituting courts of law. Between 1822 and 1838, cattle from the congested fort area used to graze freely at the Camp Maidan (now called Azad Maidan), an open ground opposite the Victoria Terminus. In 1838, the British rulers introduced a ‘grazing fee’ which several cattle-owners could not afford. Therefore, Sir Jamshedji Jeejeebhoy spent Rs. 20,000 from his own purse for purchasing some grasslands near the seafront at Thakurdwar and saw that the starving cattle grazed without a feeMumbai in that area. In time the area became to be known as “Charni” meaning grazing. When a railway station on the BB&CI railway was constructed there it was called Charni Road. The Zoroastrian Towers of Silence on Malabar hill were built by Seth Modi Hirji Vachha in 1672. The Zoroastrians believe in venerating the earth, fire, and water and hence they prefer to expose their dead to the elements and flesh-eating birds within the confines of the Towers of Silence. The first fire-temple was also built in the same year by Seth Vachha opposite his residence at Modikhana within the British fort. Both of the these structures can still be seen today although they have been expanded and strengthened. The inroads of the sea at Worli, Mahim, and Mahalaxmi turned the ground between the islands into swamps making Bombay an extremely unhealthy place at that time. Many commuters going to the Fort by boat between islands lost their lives when there was a storm during the monsoons (July to September). During the next 40 years much was done to improve matters. Reclamation work to stop the breeches at Mahalaxmi and Worli were undertaken. The Hornby Vellard was completed in 1784, during the Governorship of Mr. Hornby. In 1803 Bombay was connected with Salsette by a causeway at Sion. The island of Colaba was joined to Bombay in 1838 by a causeway now called Colaba Causeway and the Causeway connecting Mahim and Bandra was completed in 1845 at the total cost of Rs.1,57,000 donated entirely by Lady Avabai Jamsetjee Jeejeebhoy, wife of the first baronet Sir Jamsetjee Jeejeebhoy with a stipulation that no toll would be charged to citizens for its Mumbaiuse by the government. 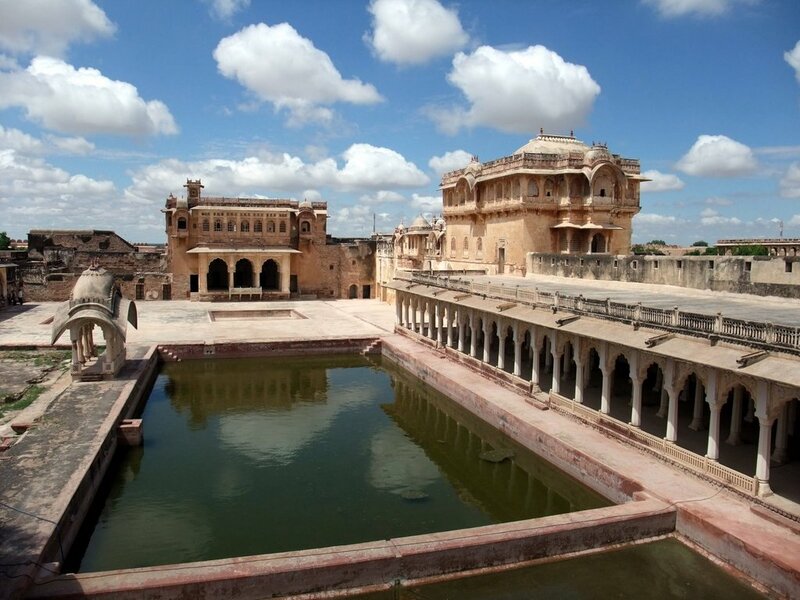 Initially the cost was estimated at Rs.100,000 but as the work commenced in 1842 the cost escalated. When the initial sum was exhausted and work about to stop Lady Jeejeebhoy once again dipped in to her personal purse with a second donation to the treasury of Rs.57,000. the construction of a number of roads between Bombay and the hinterland. The Thana and Colaba Causeways were built during his tenure as well as the Grant Medical College attached to the Sir Jamshedji Jeejeebhoy (J.J.) Group of hospitals. On Saturday 16th of April, 1853 a 21-mile long railway line, the first in India, between Bombay’s Victoria Terminus and Thana was opened. The Great Indian Peninsular (GIP) and the Bombay Baroda and Central India (BB&CI) Railway were started in 1860 and a regular service of steamers on the west coast was commenced in 1869. Also during this period Bombay enjoyed great economic wealth. Raw cotton from Gujerat was shipped to Lancashire in England through Bombay port, and after being spun and woven into cloth, returned to be sold in the Indian market. The outbreak of the American Civil War in 1861 increased the demand for cotton in the West and several personal fortunes were made during this period from the resulting trade. The opening of the Suez Canal in 1869 brought the West closer to Bombay, and as the city became more prosperous, many schemes were launched for reclaiming additional land and building more roads and wharves. Bombay began to attract fortune hunters by the hundreds and the population had swelled from 13,726 in 1780 to 644,405 in 1872, in a little less than a hundred years. By 1906 the population of Bombay was to become 977,822. In 1858, following the First War of Independence (the British called it the “Sepoy Mutiny”) of 1857 in which the Rani of Jhansi and her infant son strapped on her back were killed, the East India Company was accused of mismanagement and the islands reverted to the British Crown. In 1862 Sir Baartle Frere was appointed Governor, an office which he held until 1867. By 1862 the town had spread over the lands reclaimed through constructions of causeways and it is from this date we have the rise of the modern city of Bombay. In 1864 a fountain was to be erected in his honour at the Victoria Gardens by the Agri-Horticultural Society of Western India. Somehow, the plans were changed at the last moment and the fountain, named after the Greek goddess Flora, was placed in the centre of the city on what used be known as Hornby Road. Unfortunately, no plaque was placed on the fountain to commemorate the name of Governor in whose memory it was supposed to have been erected. Around 1860 the piped water supply from Tulsi and Vehar lakes (and later Tansa) was inaugurated. One reform which met with much superstitious opposition, before it was implemented, was the sealing and banning the use of water from open wells and tanks that bred mosquitoes. A good drainage system was also constructed at the same time. However, several decades later, the same wells were to serve Bombay by providing non-potable water to supplement the same from the lakes. This was true especially during those years when the monsoons failed to provide sufficient water in the catchment areas of the lakes. However, well water is now used all over the city to supplement the water received from the lakes. The later half of the 19th century was also to see a feverish construction of buildings in Bombay, many of which such as, the Victoria Terminus, the General Post Office, Municipal Corporation, the Prince of Wales Museum, Rajabai Tower and Bombay University, Elphinstone College and the Cawasji Jehangir Hall, the Crawford Market, the Old Secretariat (Old Customs House) and the Public Works Department (PWD) Building, still stand today as major landmarks. The Gateway of India was built to commemorate the visit of king George V and Queen Mary for the Darbar at Delhi in 1911. The docks at Bombay are a monument of the industry, enterprise and integrity of the Wadia family which moved in from Surat at the instigation of the British. In 1870 the Bombay Port Trust was formed. In 1872, Jamshedji Wadia, a master ship-builder constructed the “Cornwalis”, a frigate of 50 guns, for the East India Company, a success which led to several orders from the British Navy. In all the Wadias, between 1735-1863 built 170 war vessels for the Company, 34 man-of-war for the British Navy, 87 merchant vessels for private firms, and three vessels for the Queen of Muscat at Bombay docks. The Princess Dock was built in the year 1885 and the Victoria Dock and the Mereweather Dry Docks in 1891. Alexandra Dock was completed in 1914. The closing years of the 19th Century were tragic for Bombay as the bubonic plague caused great destruction of human life once more. One significant result of the plague was the creation of the City Improvement Trust which in later years encouraged the development of the suburbs for residential purposes to remove the congestion in the city. As Bombay’s superintendent of police in 1885, Charles Forjett was a favourite of the Indian people. Many wept openly when he returned to England. He sacked British constables who unduly harassed the locals and cracked down on the Parsi mafia which was involved in the liquor business in the Falkland Road area, which included the famous “Play House” which the locals corrupted to “pillhouse”. The “Pillhouse” area would acquire notoriety in later years as the infamous “cages” area housing Bombay’s infamous red-light district. Lord Sandhurst governed Bombay between 1895 and 1900 and it was during his tenure that the Act was passed which constituted the City Improvement Trust which, among other things, built the Sandhurst Road in 1910 and handed it over to the municipality. The Sandhurst Road railway station (upper level) was built in 1921. As a result of a mysterious fire which started in one of its holds, on a very hot summer’s day on Friday April 14, 1944, the ship “Fort Stikine” (7420 tons) blew up in the Bombay docks. At the time the ship was about to unload a lethal combination of cargo of dried fish and cotton bales (loaded from Karachi), timber, gun powder, ammunition, and gold bars from London (the latter to stabilize the Indian Rupee, which was sagging due to the Second World War and fear of invasion from Japan). The gold bullion was valued at approx. two million Pounds Sterling at that time. Nobody is certain as to how the fire started but the two explosions which followed were so loud that windows rattled and/or shattered as far away as Dadar, a distance of 8 miles. The destruction in the docks and surrounding area was immense and several hundred dock workers were killed instantly. A majority of brave men of the Bombay Fire Brigade, who answered the call to duty immediately after the first blast, lost their lives in the second explosion (a monument has been erected in the docks in their honour). The population of the city was panic stricken as rumours spread rapidly that the explosions signaled the commencement of hostilities by the Japanese on the same style as the surprise attack on Pearl Harbour in the Hawaiian islands in December 1941. The Japanese were in fact nowhere near Bombay since they were engaged in fighting a losing battle with the British army in Burma at that time. Nevertheless, the Bombay Central (BB&CI) and Victoria Terminus (GIP) stations were packed to capacity with terrorized people fleeing the city in whichever train they could board for their villages with all belongings they could carry. At the time of the explosion, one of the gold bars crashed through the roof of the third floor apartment of a Parsi named D.C. Motivala more than a mile from the docks. He promptly returned the gold bar to the authorities. Almost all of the other gold bars were subsequently recovered from different parts of the city; the last ones to be found were hauled up from the bottom of the sea in the docks. However, during normal dredging operations carried out periodically to maintain the depth of the docking bays one or two gold bars were found intact sporadically as late as the 1970s and returned to the British government. The government took full responsibility for the disaster and monetary compensation was paid to citizens who made a claim for loss or damage to property. The Port Trust Railway from Ballard Pier to Wadala was opened in 1915. Along this railway were built grain and fuel oil depots. The kerosene oil installations were developed at Sewri and for petrol at Wadala. In the same year the first overhead transmission lines of the Tata Power Company were erected, and in 1927 the first electric locomotives manufactured by Metropolitan Vickers of England were put into service for passenger trains up to Poona and Igatpuri on the GIP railway and later electric multiple unit (EMUs) commuter trains ran up to Virar on the BB&CI railway and up to Karjat and Kasara of the GIP railway. During the Second World War these EMUs were joined together to form long trains which carried troops and small arms and ammunition to and from Bombay to the hinterland. The Fort (downtown) area in Bombay derives its name from the fact that the area fell within the former walled city, of which only a small fragment survives as part of the eastern boundary wall of the St. George’s Hospital. In 1813 there were 10,801 persons living in the fort, 5,464, or nearly 50%, of them Parsis. With the growth of the city more people came from the Fort to such suburbs as Byculla, Parel, Malabar Hill, and Mazagaon. European sports clubs for cricket and other games came in to existence early in the 19th Century. The Bombay Gymkhana was formed in 1875 exclusively for Europeans. Other communities followed this example, and various Parsi, Muslim, and Hindu gymkhanas were started nearby with fierce sports competitions among them being organized on a communal basis. This was opposed by several secular minded persons, such as the late A.F.S. Talyarkhan, and sports teams based on community, especially cricket teams, came to an end gradually after independence from British rule in 1947. The historic session of the All India Congress Committee began on the 7th of August 1942. Its venue was the Gowalia Tank Maidan, where the congress was born in 1885. It was at this session that the “Quit India” call was given by Mahatma Gandhi and other Indian National Congress leaders. The Indian leaders were arrested by the British soon afterwards but the momentum of the Quit India movement could not be stopped and led to the final withdrawal of the British on 15 August 1947. 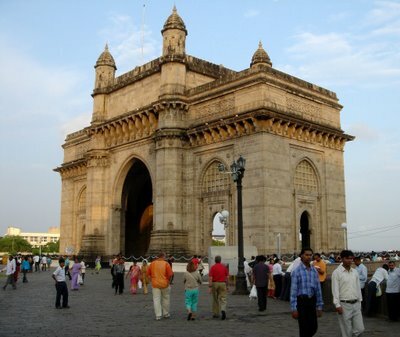 The last British troops on Indian soil left for England through the archway of the Gateway of India on that day. They bade farewell from where they had entered 282 years before. The people of Bombay, in a gesture of generosity wished them bon voyage, forgetting the bitter memories of the fight for independence. Today the maidan from where the call to “Quit India” was given is called the “August Kranti Maidan”. After independence the Congress party led by Jawaharlal Nehru at the Center was swept to power in most of the Indian States, which were constituted on the basis of language spoken by the majority of its people. The Bombay State included the city as its seat of government. In 1960 the state of Bombay was split into Maharashtra and Gujarat states again on linguistic basis, the former retaining Bombay city as its capital. The Congress party continued to administer Maharashtra until 1994 when it was replaced by the Shiv Sena-Bharatiya Janata Party (BJP) coalition. With the success of the back-bay reclamation scheme in the late 1960s and early 1970s Nariman Point became the hub of the business activity. Several offices shifted from the Ballard Estate to Nariman Point which ultimately became one of the most expensive real estate in the world as high demand pushed prices to astronomical limits. Nariman Point is named after K.F. Nariman, president of the Bombay Provincial Congress Committee and former mayor of Bombay. Churchgate Street was also renamed as Veer Nariman Road after independence. The Stock Exchange at Bombay was established in 1875 as “The Native Share and Stockbrokers Association” which has evolved over the decades in to its present status as the premier Stock Exchange in India. It is one of the oldest in Asia having preceded even the Tokyo Stock Exchange which was founded in 1878. In the early days the business was conducted under the shade of a banyan tree in front of the town hall. The tree can still be seen in the Horniman Circle Park. In 1850 the Companies Act was passed and that heralded the commencement of the joint stock companies in India. The American Civil War of 1860 helped Indians to establish brokerage houses in Bombay. The leading broker at the time, Premchand Roychand, assisted in framing conventions, ground rules and procedures for trading which are respected even now. He was the first Indian broker who could speak and write in fluent English. The exchange was established with 318 members with a fee of Re. 1/-. This fee has gradually increased over the years and today it is a over a crore. In January 1899, the Brokers’ Hall was inaugurated by James M. MaClean, M.P. After the First World War the Bombay Stock Exchange (BSE) was housed in an old building near the Town Hall. In 1928, the present plot of land was acquired surrounded by Dalal Street, Bombay Samachar Marg, and Hammam Street. A building was constructed in 1930 and occupied in December of that year. In 1995 the operations and dealings of the BSE were fully computerized and thus the famous out-cry system of share trading was replaced by screen based trading as in other modern stock exchanges around the world. Today Bombay is the financial and business capital of India. The BSE is housed in the 28-storied Phiroze Jeejeebhoy Towers in the same place where the old building once stood. Sir Phiroze Jamshedji Jeejeebhoy was the Chairman of the Exchange from 1966 till his death in 1980. The building has been named after him since its construction commenced during his Chairmanship and was completed just as he passed away. Bombay was originally a cluster of seven Koli islands inhabited by fishermen. These islands were a part of Gujarat. When the Muslim ruler Sultan Muhamed Begada captured the islands, Bombay was till then inhabited by the Hindus. Vasco da Gama a Portuguese was the first man to discover the sea route to Bombay. After repeated attacks, the Sultan of Gujarat handed over the islands to the Portuguese in 1534. The Portuguese could not find any use for them and in1661 the island of Bombay was given to Charles 11 of England as part of the dowry when he got married to Catherine of Braganza., sister of the Portuguese king. A few years later Charles 11 took possession of the remaining islands. In 1668, the East India Company a trading company based in Surat (Gujarat), took over on lease the island of Bombay due to its strategic location and port advantage, Bombay soon became an important trading port. Development and reclamation started and the then Governor Gerald Aungier (1672-1677) encouraged business men from all over to come and settle. Historians have given him the title of “Father of Bombay” because it was in this period Bombay boomed. to become a prime commercial centre.. The Zorastrian Parsis were the first to arrive and settle and build their first tower of silence in 1675. Many streets are named after successful Parsi businessmen, industrialist and philanthropists. Among them the Tata’s are most famous. 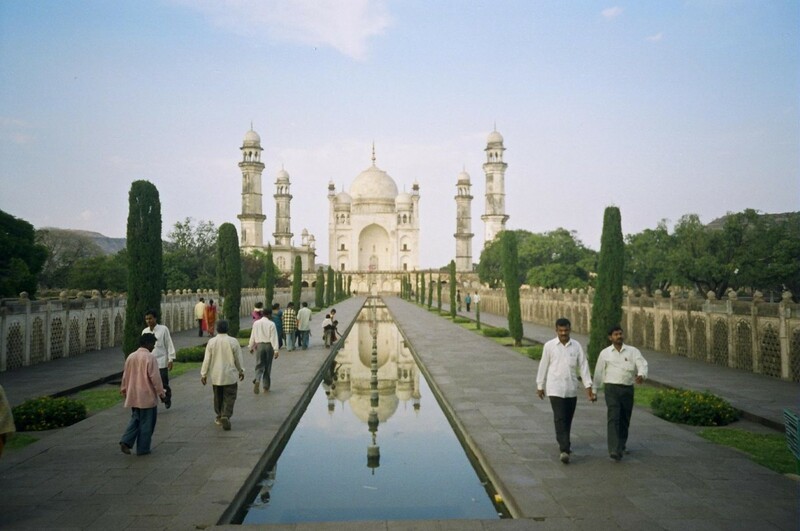 Air India was set up by JRD Tata and Hotel TajMahal stands as a great memorial to his father. Then came the Hindus, Goan Catholics, and the Muslims. In 1687 the presidency of the East India Company shifted from Surat to Bombay and finally in 1708 Bombay became it’s headquarter. By the 18th century the population had grown and basic amenities and public services introduced like piped water supply, Hospitals, Railways, Tramcars, Courts, Mint, etc. The Victoria Terminus Railway Station was made in 1887, designed by F. W. Stevens and built in Gothic style. 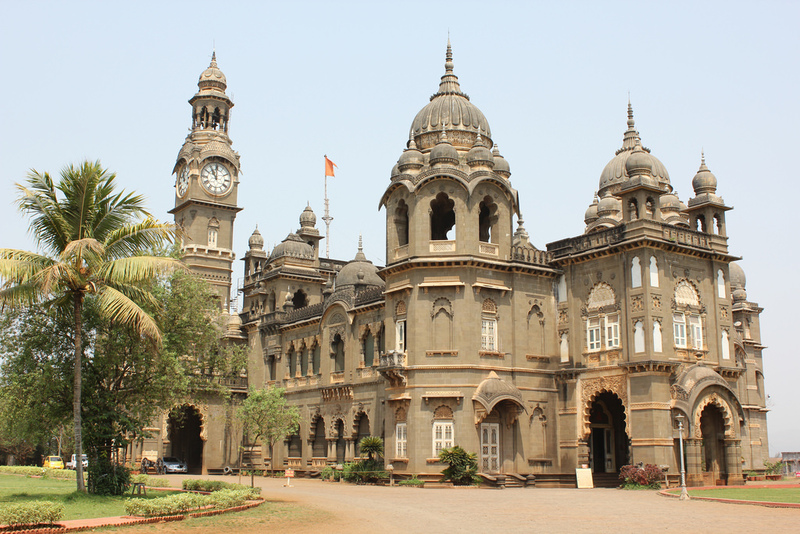 Till today it is one of the most imposing and impressive structures and the credit for this plus other Gothic structures goes to the then governor Sir Bartle Frere who took a keen interest in the making of Bombay. 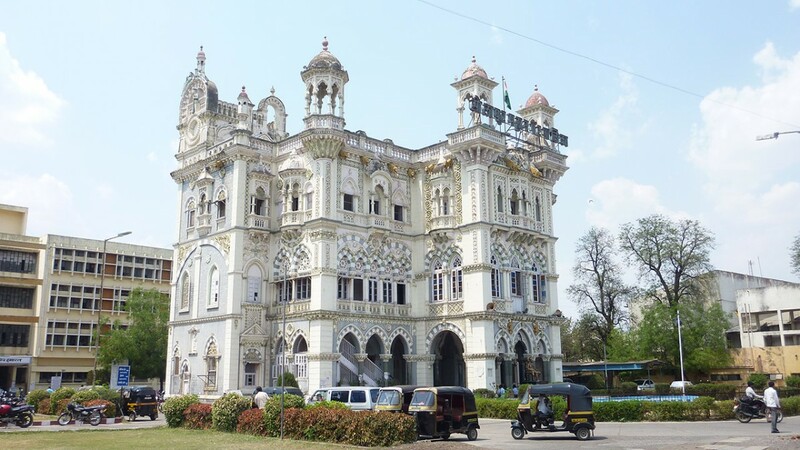 Most of the impressive buildings were made between the years 1860-1900 like the GPO, Offices, Banks, Tourist offices and two of the main railway stations .By 1862 the seven islands had joined together to form one huge mass of land .The arrival of the Great Indian Peninsular Railways signaled improved communications. The American civil war gave a further boost to the cotton and textile industry, which emerged as the main manufacturing activity. With the opening of the Suez Canal in 1869 Bombay prospered as an International port, and reinforced its position as a major commercial and industrial center in India. When India became Independent in 1947 Bombay became the capital of Bombay state. In 1960 Bombay state was dissolved and the state of Maharashtra came into being, with Bombay as its state capital. In 1995 Bombay changed its name to Mumbai. 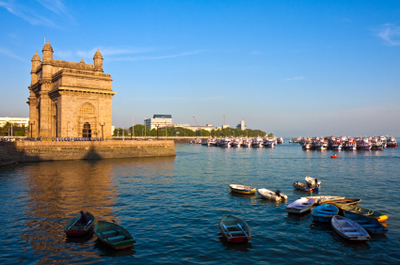 The name Mumbai is derived from “Mumbadevi” the patron goddess of the Koli fisher folks, the earliest known inhabitants. 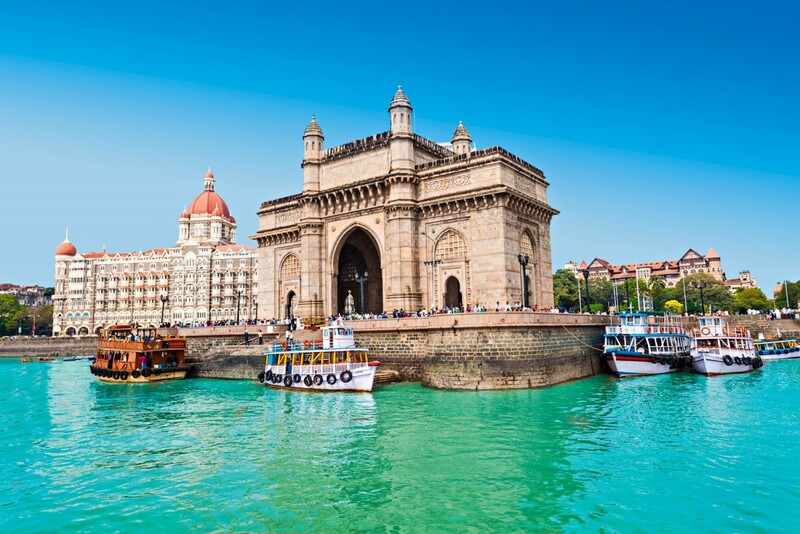 Formerly known as Mumbai it is the commercial & financial capital city of India. This port city (India’s largest and busiest) accounts for a major share of the government’s revenue, and has one of the world’s largest harbour. In a recent survey of cities compiled, Mumbai is the fifth most expensive city in the world. 40% of this island city consists of reclaimed land from the sea. This mega cosmopolitan city is a city of contrasts. The deceptively calm sea, its beaches and fishing boats, give lie to a city, which is bursting at its seams with population, pollution and space. Over 60% of air pollution is due to the 7 lakh vehicles on the roads. Space constraints have given rise to towering skyscrapers standing majestically next to sprawling slums ( Dharavi -Asia’s biggest slum is here). Haute cuisine besides hawker stalls. World renowned designer labels and brands to exquisite made in India items. 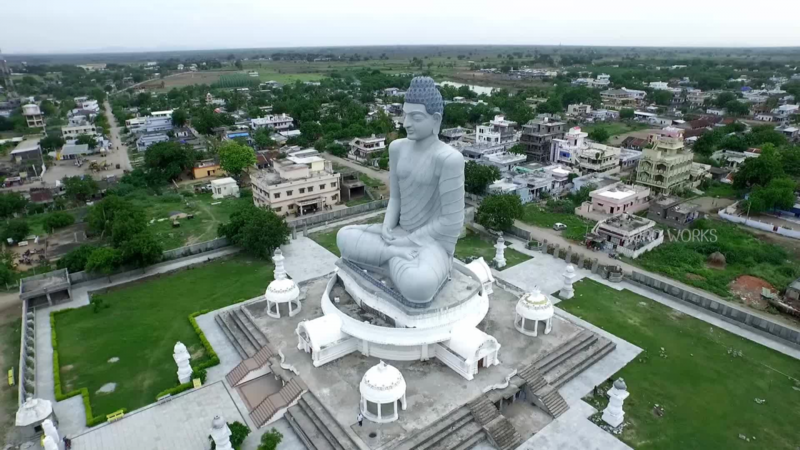 People of various caste, culture, and religion inhabit the city, and due to this diversification the customs, languages, and even the food is of infinite variety. The language spoken here is Hindi & Hinglish which is street speak and slang a mixture of Hindi & English. The official state language though is Marathi. The city is multi religious, multi cultural, multilingual. Mumbai, by and large, observes humidity throughout the year. Since it rests in the tropical zone, moreover close to sea, it enjoys more or less same weather. Its climate can be broadly divided into three seasons, namely winters (November-February), summers (March-May) and monsoons (June-September). The months between March and October are characterized by high humidity, while dryness persists from November to February. During summers, the temperature rises up to 35°C and the climatic conditions flit around mugginess. Monsoons afflict the residents of Bombay with heavy showers. The temperature comes down to some extent, but extreme clamminess makes the conditions worse. Water-logging is a major problem in the city during this season. However, good news is that the air-conditioners really work well around this time. The Island City receives an annual rainfall of 2,200 metres. The months of October and November bring a respite from the heavy rains. However, winters appear at their apex in December and January. The weather remains pleasant during these months, where the temperature goes down to the minimum of 15°C. February too, offers an enjoyable climate. 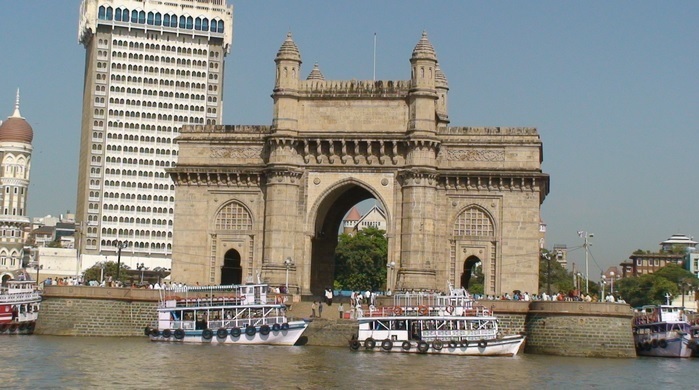 In fact, the months from October to February provide the best time to visit Mumbai. By air – Mumbai has more flights connecting it than even the national capital New Delhi. All major airlines fly to and from Mumbai to most of the important cities of the world. The international terminal of Mumbai is known as Sahar and the domestic terminal is known as Santa Cruz. The Sahar terminal is 30 km from downtown Mumbai and Santa Cruz is at a distance of 25kms. Besides taxis, there are regular shuttle services plying between the two terminals. 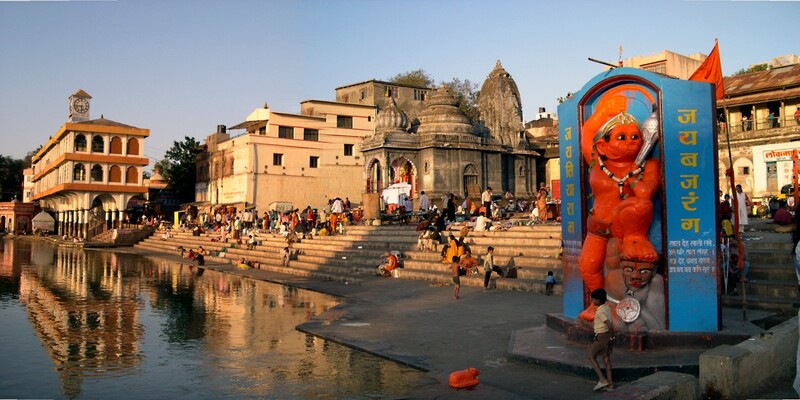 By bus – If you would like to travel by bus within India, most long distance buses leave from the State Transport Terminal located opposite Mumbai’s Central Railway Station. However, this is not a good option if you do not speak Hindi or Marathi as no printed information is available in English. 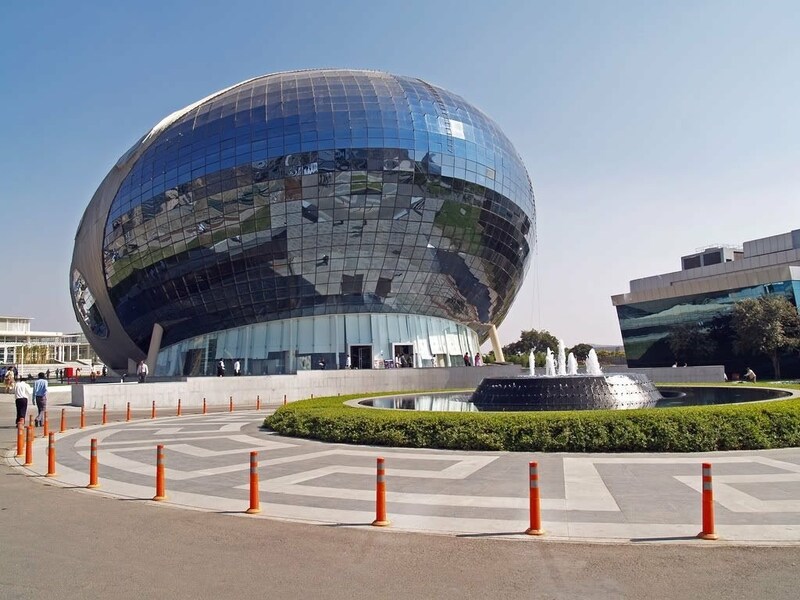 However most of the neighbouring states like Goa, Gujarat, Karnataka and Madhya Pradesh have their state bus company offices located here. By rail – Central Railways runs services to the east and north, the Western Railways also runs trains to North India from Churchgate and Central stations.